Phi Beta Lambda is the college-arm of Future Business Leaders of America (FBLA), a national organization. Membership is open to anyone with an interest in business. 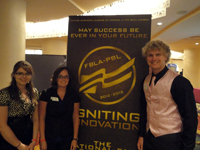 You can access the national organization at http://www.fbla-pbl.org/.